Amazon unloads a truckload of goodies for users of its cloud platform. 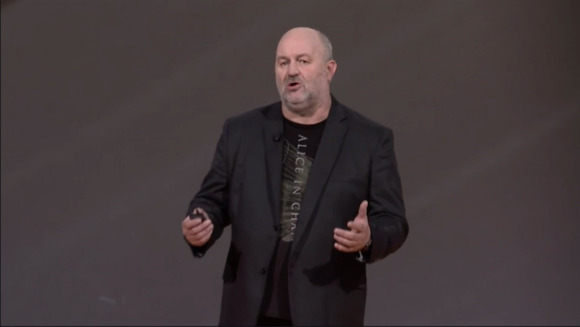 Developing apps and services to leverage the cloud is the new normal, Amazon Chief Technical Officer Werner Vogels told an audience at the company's Re:Invent conference in Las Vegas Thursday. To that end, Amazon announced a whole slew of new features for its cloud that should help developers take advantage of it in one form or another. AWS Lambda, which allows developers to just run blocks of code when necessary without worrying about provisioning resources, received a bunch of updates, including support for accessing resources running in a virtual private cloud. That's key for businesses that make VPCs a cornerstone of their cloud strategy. The service now also lets them create functions using the popular Python programming language. Amazon also released a new EC2 Container Registry, which is designed to help companies better manage and deploy Docker container images. Users can send container images from their local machines to the Container Registry, which they can then use for deployment to Amazon's EC2 Container Service. Developers who can't get enough of using command-line interfaces can use the new EC2 Container Service CLI to better manage the containerized applications they want to run through Amazon's managed container service. A new X1 instance provides another tool for developers who need to run memory-intensive workloads like SAP HANA databases. The high-performance instance can feature up to 2TB of memory. It's powered by Intel's Xeon E7 v3 processors, which are based on the Haswell architecture, and is slated for release early next year. Amazon hasn't unveiled pricing information for the new instances, but expect to pay a pretty penny for all that memory. On the lower end, Amazon also announced new t2.nano instances that give developers access to a single virtual CPU and 512MB (yes, megabytes) of memory. As with other t2 instances, they accumulate CPU credits that can then be used to get full access to an entire processor core for up to an hour. It's the smaller sibling of the other t2 instances that Amazon unveiled with similar features but more power last year. The t2.nano instances are designed for workloads that don't require a heavy load all that often but sometimes have to burst up to handle more work. In a blog post announcing the new instance type, AWS Chief Evangelist Jeff Barr said in a blog post they'd be well-suited for websites that usually receive a moderate amount of traffic but occasionally face heavier use. Pricing for these low-power instances isn't available yet. They are set to come out later this year. Amazon is locked in tight competition with Microsoft, Google and other cloud providers, all trying to attract both large and small businesses to their platforms. But while AWS chief Andy Jassy talked up what he sees as Amazon's superiority over its competitors during his keynote speech yesterday, Vogels seemed most concerned with encouraging developers to get out and create new applications. "There has never been a better time to build, so please, go build," Vogels said.